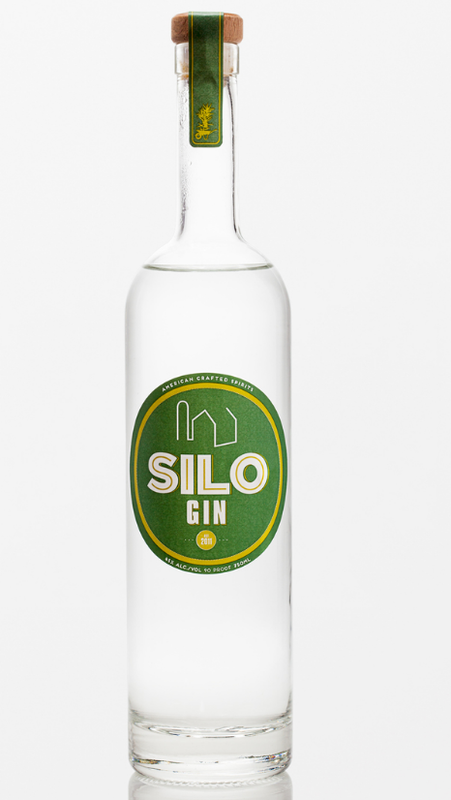 Silo Distillery in the town of Windsor (home of the Vermont Republic Constitution) makes Silo Gin, which is distilled in a barn using locally sourced New England ingredients. The corn and apples hail from Vermont while the juniper berries grow in nearby Massachusetts. Crisp notes of raw Bartlett pear which seem to evolve into a more of a glazed, cinnamon stewed spiced pear There’s a touch of grain on the nose and a bit of pine-forward juniper as well. Rather quiet though with an intriguing gentle fruit-forward perspective. The palate is quite surprising in its clarity. I’d say you get three flavors, which on the palate cycle through in quick, clear, succession. First, the gin’s traditional side comes through with pine-forward juniper. Mid-palate, there’s an earthy, but whispery note of grain. Finally, towards the end of the taste there’s an enormous fresh Granny Smith apple note. The finish itself is medium length with little depth aside from the fresh apple note. The apple note is intriguing and the clarity of Silo Gin’s vision comes through in cocktails as well. I found the lime and apple to be unusual in a Gimlet, but really liked the concert of lemon and apple. The Tom Collins might be worth a closer look. In a more unexpected way, Silo Gin works really nicely in spirit forward cocktails with its apple and juniper. Try it in an Arsenic and Old Lace. I think the apple comes through nicely in a Martini, particularly Extra Dry Martinis; however, I think that Silo Gin might be well designed for a Gin and Tonic. The clarity of the botanicals on both the nose and palate make Silo Gin a remarkably accessible gin. Classic gin fans will appreciate the juniper at the center and those new to the style will like the novel touch the apple brings as a botanical. My only critique might be that the botanical blend lacks serious depth and can be somewhat one-note, with the botanical blend coming across as a bit flat on the palate. Overall, it’s a solid gin with a unique botanical perspective that mixes well and is sure to have appeal among those who are looking for a sophisticated and grown-up alternative to the apple vodkas of their misspent youth*. Special thanks to John at Foodie Pilgrim. Since 2012, John has shared and sourced gins from New England and nearby that we at The Gin is In haven’t tried yet. This gin sample was shared by John, who is also a big fan of gin. So check out his New England Gin Reviews as well when you have a chance.